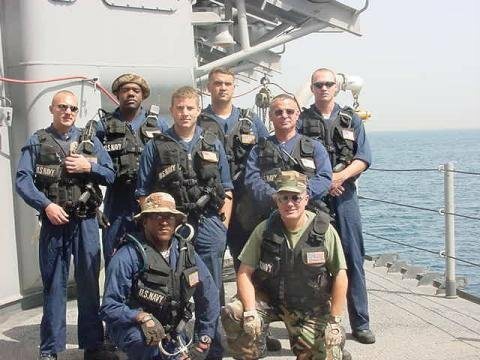 This is the 10th installment of my “Going to War” series which Chronicles my deployment with RP2 Nelson Lebron to Iraq in 2007-2008. 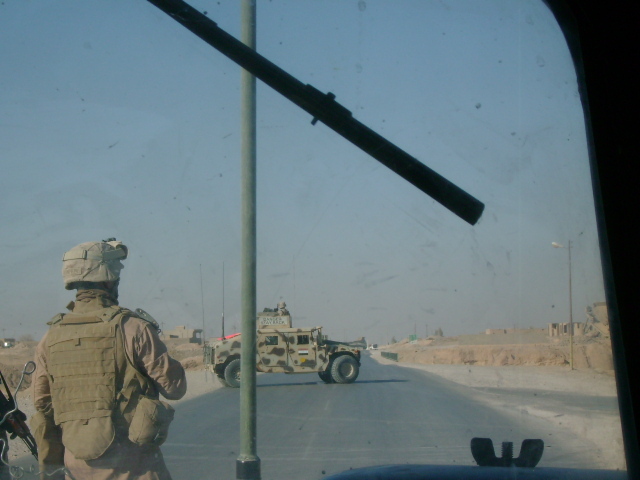 This installment deals with our time at Camp Victory in Baghdad as were prepared to go west. For other segments go to the “Tour in Iraq” link on the sidebar. Following our arrival at Camp Victory Nelson and I continued to get our bearings. 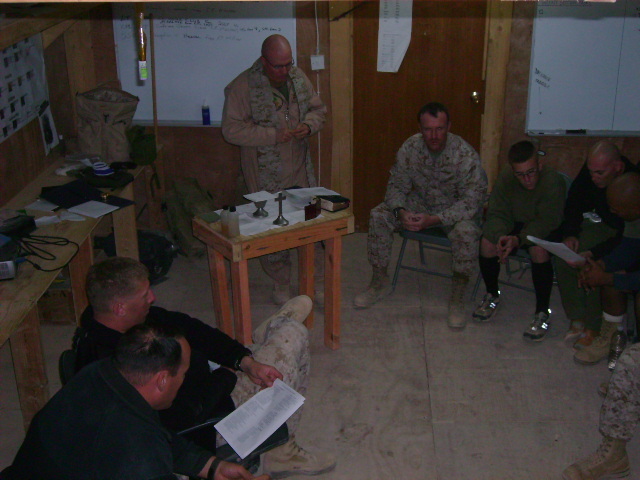 We went to the Iraq assistance Group where we checked in and began to meet the people who were going to be assisting us as we got ready to do our mission where we met with the Chaplain, Major Peter Dissmore, the Chief of staff, Colonel David Abramowitz and the Commanding General. We received briefing and coordinating assistance from a number of the G-Shops in the IAG, the Chaplain and the Multi-National Corps Iraq Chaplain Office. The visits with all were cordial and my long Army career as a Medical Service Corps Officer and Chaplain allowed me to have a edge in working with the Army because I knew the system, the language and the culture. Now the IAG was run by the Army but was a joint command with Navy, Air Force and Marine staff in addition to the Army. The IAG at least then was the coordinating office for the teams of Advisors and trainers working with the Iraqi Army, Border Forces and National Police. Another command worked with the Provincial Police and other security forces throughout the country. 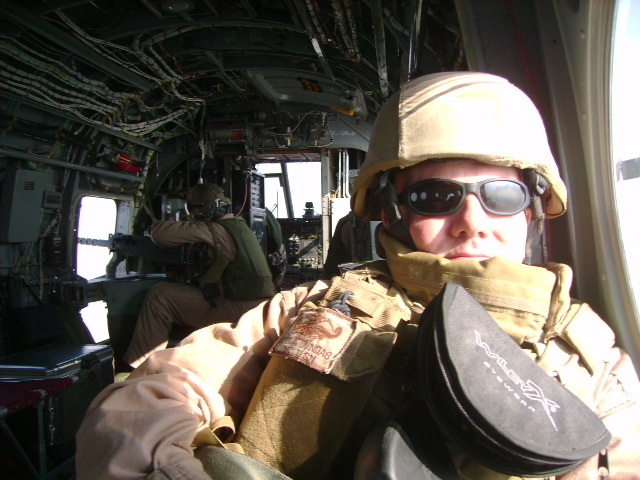 While we had an idea where we would be working before we deployed that we would work with the Marine and Army advisors in Multi-National Force West, we received the word that we would be going there. 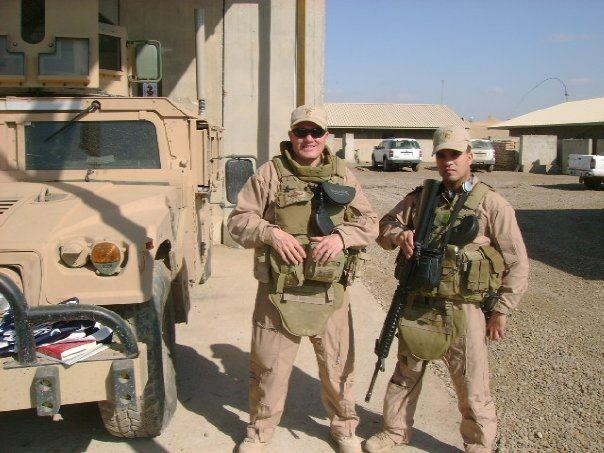 MNF-West operates in Al Anbar Province which at that time was still a very dangerous place, although there were signs that things might be beginning to turn around. 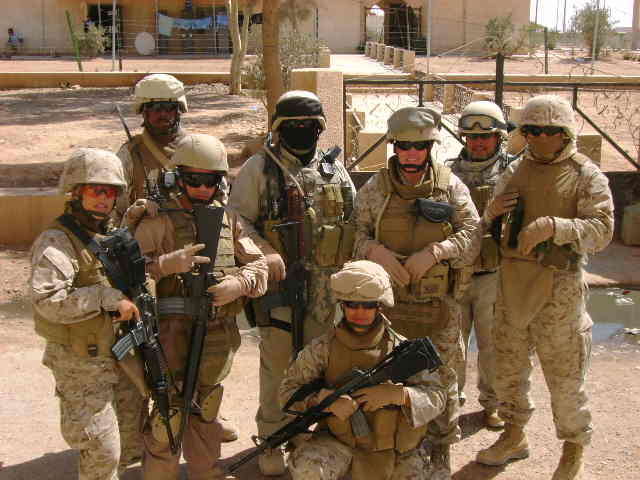 It was funny as during our pre-deployment preparation and training took place almost everyone who heard that Nelson and I were going to Anbar expressed concern as the battle there had been very difficult since the U.S. led invasion. The actual briefings and preparations did not take long, but the important part was building relationships that would assist us in our mission as it developed. The two key people at IAG for our mission were Chaplain Dissmore and Colonel Abramowitz. Chaplain Dissmore a chaplain of the Assemblies of God denomination, graduate of Princeton and ethics instructor at the Army Engineer school had been deployed like us as an individual augment as had Colonel Abramowitz. We got along with both very well as we got details of the mission. Colonel Abramowitz took a liking to us, especially Nelson, a fellow New Yorker. 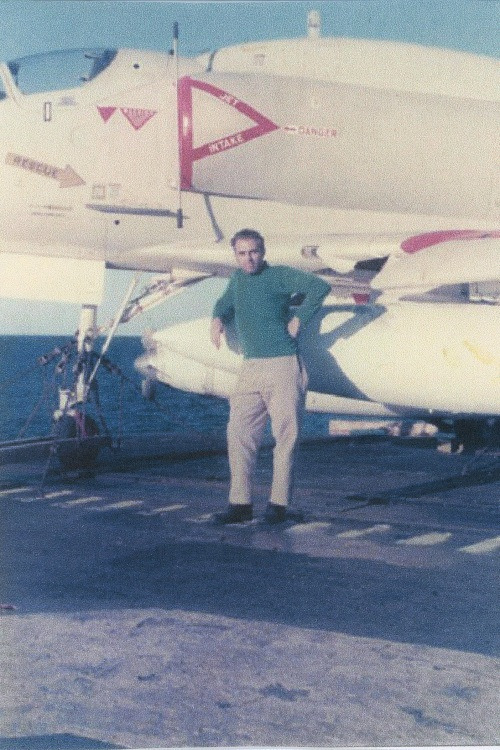 Abramowitz is an Army Aviator and the son of an Army Infantry Colonel. He is a big man, about 6′ 6′ or maybe taller and reminds me of a Jewish version of Patton. When he found out that Nelson was a fighter and had multiple championship belts he had to “Google” him. Nelson told him to “Google Nelson Lebron, kick boxer.” When Colonel Abramowitz did he was amazed that Nelson was the real deal. He became one of our strongest advocates in Baghdad. We talked baseball of course the good Colonel being a Yankees fan. Another group of men who were invaluable to us were two former Iraqi Army and Air Force Generals who had fled the country during the reign of Saddaam after the the Gulf war. Both helped us considerably as we gt to know more about the make up of the new Iraqi Army which after a couple of years had been purged of many of the opportunists and political hacks who had come in after it was re-established. 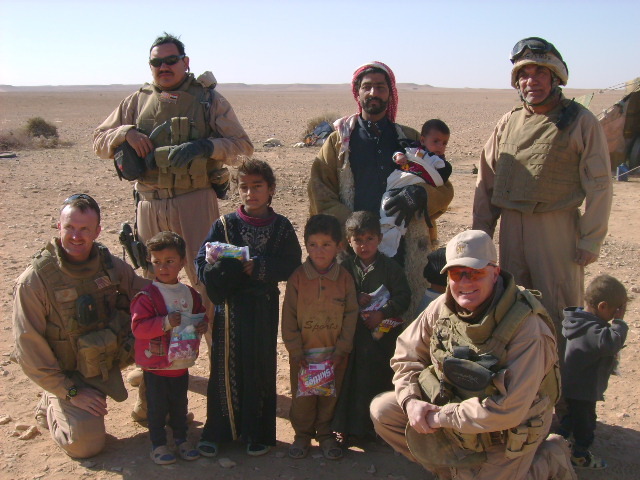 Many of the officers replacing the problem children were career military men, secular in outlook who had served since the Iran-Iraq war of the 1980s are well as in the First Gulf War. These men wanted the chance to get the Iraqi Army back in shape as a fighting force, but faced opposition from certain political and religious groups in the country not to mention the insurgents who desired to undermine the effectiveness of this force from the beginning. Almost immediately after meeting with the IAG staff we were on the phone with Navy Captain Mike Langston the Chaplain for MNF-W and II Marine Expeditionary Force Forward and his deputy Commander J. Hedges. They were excited to have us coming to their area. 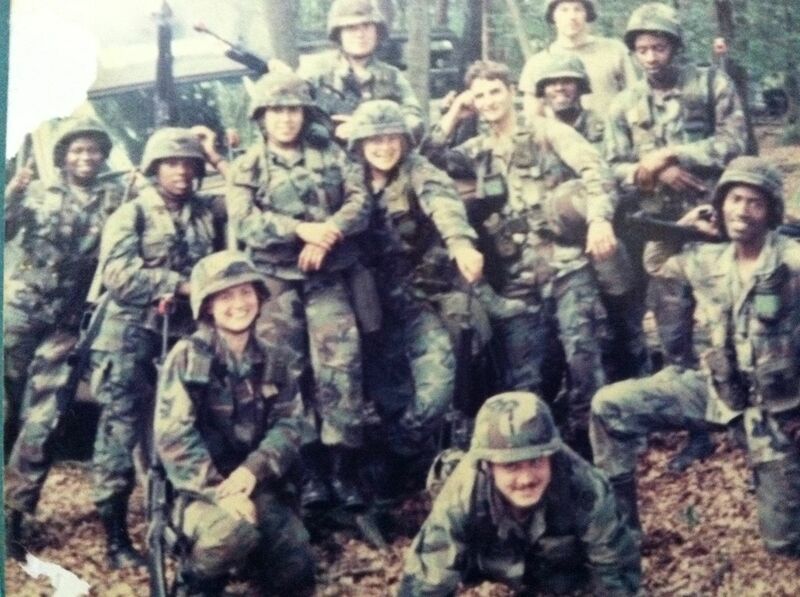 When Chaplain Dissmore informed them that they had the choice of a Navy team or an Army team they of course picked us. 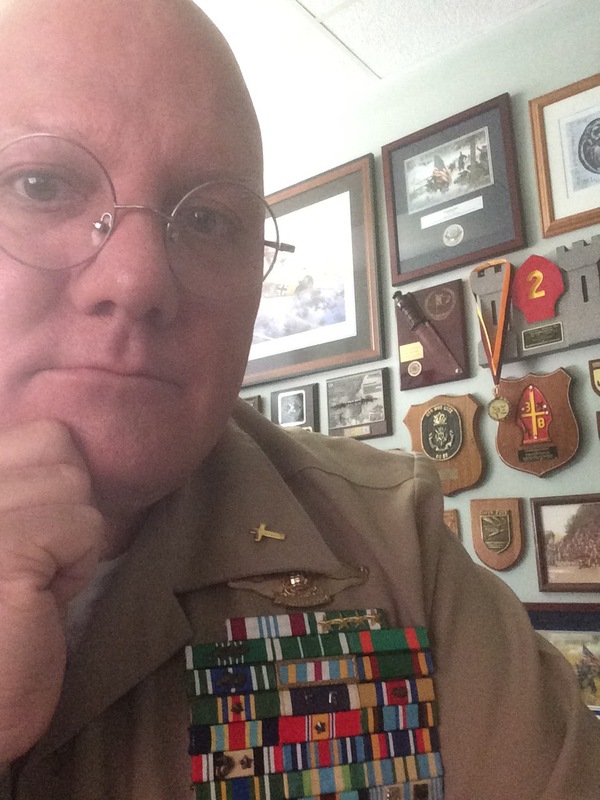 This was also the intent of the IAG who realized that a Navy team would understand the more Marine oriented advisors and chain of command out west. When Chaplain Langston heard that the team was composed of Nelson and me he expressed great pleasure as Nelson had served with him in Afghanistan and I had served with him at Second Marine Division. As a result we had a great amount of trust placed in us because of prior service together as we were both known quantities. Relationships matter in the military and this time they were a great help to us. One of the things pointed out to us was that we were the first Navy team assigned to doing this type of mission since Vietnam. Most of the Army teams doing the mission were reservists and according to the information that we were given were struggling. 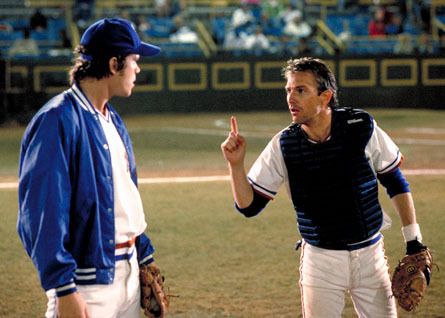 A team that had been dispatched out west prior to us had been sent back early because of their ineffectiveness. 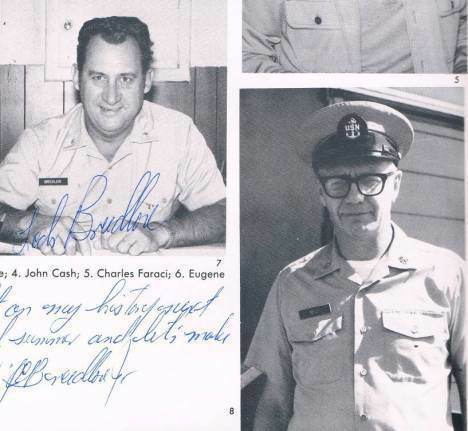 I had already known that we were the first Navy team to do this mission since Vietnam and had taken the time to read the histories of the chaplains who served in this “niche” role in that war. 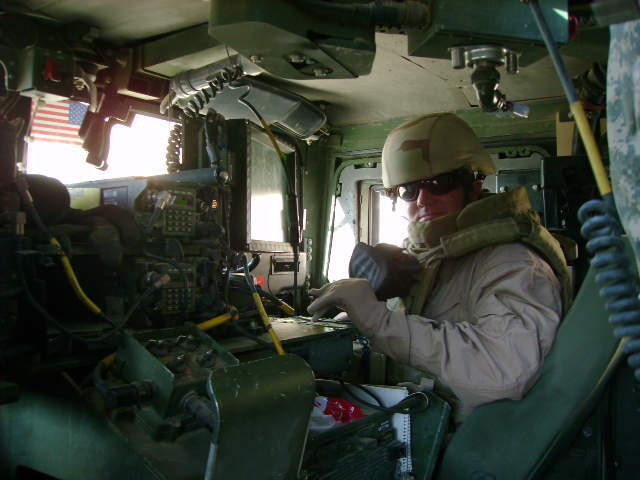 Likewise being a history major and working on a second Masters in Military History I had been doing a lot of study on counter-insurgency and revolutionary warfare. Not long prior to our deployment the Army and Marine Corps had issued a new manual on the subject. When I read it I was surprised to find that I had already read many of the primary sources used in its compilation. These are things that while not directly related o being a chaplain are things that help give a chaplain “street cred” and an ability to adapt to the culture and understand the language of the men that he serves with. 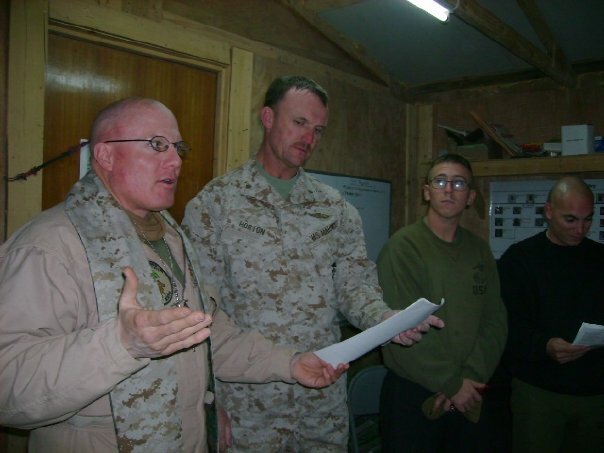 I did not stop being a Priest in this, but I knew where we fit and understood what the advisers on the MiTT Military Transition teams, mission was and challenges that they faced. This again put us ahead of the power curve going into the mission. I do not think that any Religious Ministry or Army Unit Ministry Team has been as well prepared for this kind of mission than we were. While at Camp Victory I met several old friends and acquaintances from Army and Navy service, as well as a Marine Corps Officer with who I had attended Command and Staff College. 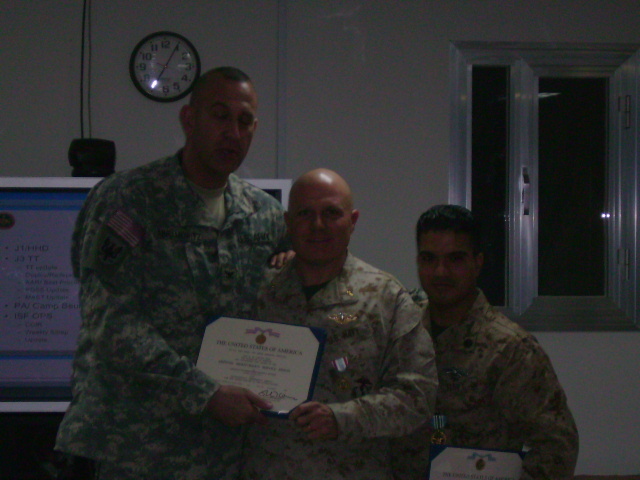 One, LCDR Andy Wade who I had served with at 2nd MARDIV was completing a tour with the MNC-I Chaplain Office. 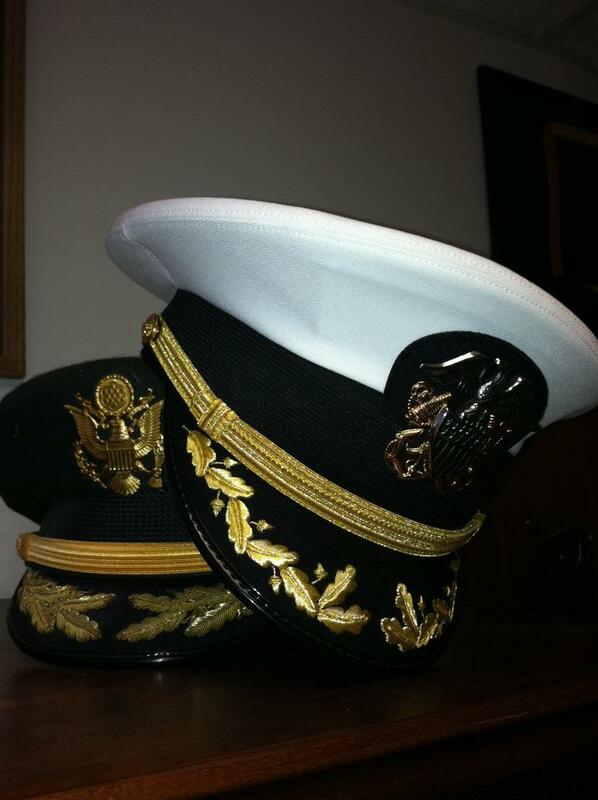 Two of the Army Chaplains had been in my officer basic course and one, an Orthodox Priest was a friend from the Army Chaplain Officer basic course at Fort Monmouth NJ in 1990. Peter Batkis was a newly commissioned 1LT when I went to the basic course and was the room mate of my good friend Fr Jim Bowman. He was now a Lieutenant Colonel and Chaplain for the 18th MP Brigade. The other former classmate had been with an advisory team elsewhere in country and not had a good experience. I was shocked to see how he had aged and how badly he wanted to get out of country. While at Camp Victory we continued to get ourselves ready to go. Our flight to Fallujah was arranged by the IAG staff and we began the process of waiting. While waiting we were able to get some PT in and on the morning of the 8th of August (7 August in the States) while at breakfast I saw Barry Bonds hit home run #756 to break the record of Hank Aaron. What I saw at Camp Victory amazed me. The place was a veritable “little America” complete with the largest military exchange in country, about the size of a small Wal-Mart with a separate market for Iraqi vendors and, American fast food outlets housed in white trailers outside the exchange and a host of other exchange services found anywhere in the world, except to much of Al Anbar where we were heading. It was kind of surreal, all of this Americana plunked down in there heart of Iraq, surrounded by blast walls and guarded with multiple check points. Parking lots were filled with a mixture of tactical and non-tactical vehicles and every military person was armed. Helicopters overflew the area regularly, both transport aircraft and gunships, the gunships which flew what would have at one time been called a “Combat Air Patrol.” Additionally there was the ever present noise of small arms fire, distant explosions and sirens of various emergency and police vehicles. The weather while 6-8 degrees cooler than Kuwait was still very hot and we were constantly picking up liter bottles of fresh water to stay hydrated. Additionally we received the tour of the Al Faw Palace which was one of Saddaam Hussein’s major residences which had been taken over as the headquarters of Multi-National Force Iraq. The palace was abuzz with the activity of the MNF-I staff. In the lobby of the palace there is a throne given to Saddaam by Yasser Arafat in which almost everyone going through Camp Victory gets their photo taken in. On our 4th day in country we got word that we would fly that night. Nelson and I got ourselves packed, made final preparations and coordination with the IAG staff and waited.